One fifth of the 500,000 people who die each year in the United Kingdom do not receive the palliative care they need, according to new research carried out by a team at the London School of Economics. Palliative care is often associated with end stage cancer, but it is relevant to anyone with serious illness. It aims at the holistic and active management of pain and other distressing symptoms and the relief of emotional and psychological distress. Yet a significant minority of people across the UK – over 100,000 (roughly a fifth of everyone who dies each year) – do not receive the palliative care they need. And some groups are less likely to receive this care than others. This includes people with conditions other than cancer, people aged 85 or over, people from black, Asian and minority ethnic groups, people who live in the most deprived areas and people without spouses or partners. These findings come from a research study carried out by a team at the LSE’s Personal Social Services Research Unit. It was funded by the Marie Curie charity, which supports people with terminal illnesses and their families, and involved a wide-ranging evidence review and new analyses of data from the National Survey of Bereaved People in England. In the UK, palliative care is delivered by specialist professionals, usually working as part of multi-disciplinary teams. Generalists including GPs, district nurses, hospital doctors, ward nurses, allied health professionals, staff in care homes, social care staff, social workers, chaplains and others are also involved. Twenty per cent of referrals to specialist palliative care are for people with conditions other than cancer. Yet 70 per cent of people who die do so from these conditions. So although the proportion of referrals for non-cancer conditions has risen – from 12 per cent in 2008 – it is still far too far too low. There is plentiful evidence that the palliative care of those with and without cancer are comparable. Some people with cancer may also miss out. For example, those undergoing active cancer treatment and with hematological cancer – cancer of the blood – are less likely to get a specialist referral. What is particularly concerning, however, is that, in the last three months of life, people with non-cancer conditions also have less contact with generalist healthcare providers, including GPs and district nurses. They are also less likely to die at home, even after taking account of factors we know to be strongly associated with dying at home, such as having a spouse or partner. And they are less likely to have their pain well-controlled at home or to receive care that their families consider to be of high quality. Families of people with cardio-vascular disease seemed to be least satisfied with the care their relative received, rating overall care from GPs, care homes and out of hours services in the last three months of life as poor. Identifying pain control in people with dementia is hard even with standardized clinical measures. However, research studies show that even where pain is identified, people with dementia may not receive the palliative care they need. People aged 85 and over account for 39 per cent of deaths, but just 16 per cent of specialist referrals are for this group, even though are no less likely to need specialist palliative care. This figure is up from 11 per cent in 2012, but is, nonetheless, far from equitable. Research studies find that palliative care needs in people over 85 are under-identified by healthcare professionals, possibly because illness and death are expected in old age. People in this age group may also under-report their symptoms. And there can also be confusion about the role of the geriatrician in providing palliative care. People from Black, Asian and minority ethnic (BAME) groups are just as likely as people of white ethnicity to be referred to specialist palliative care services, when one takes into account their age profile. They are also just as likely to die at home rather than in hospital. But they report poorer quality care, they rate the care they receive in care homes as poor and they are more likely to die in hospital than in a care home. People from more deprived areas do not appear to have less access to community-based services. However, they are less satisfied with the care they receive, they are less likely to feel they are treated with dignity by professionals and they more frequently die in hospital. The purpose of our study was to identify whether there was inequity in access to palliative care or in outcomes, rather than to look closely at causes or make detailed proposals for what needs to be done. Nonetheless, we identified important care gaps in all settings. In hospitals these included limited access to face-to-face specialist palliative care services as well as poor communication with patients and families. In the community, there can often be conflicting pressures, confusion about roles and responsibilities and poor coordination. 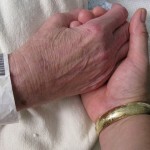 Generalists sometimes lack confidence, knowledge and skills in end of life care. Care homes, which have an increasing role in end of life care, sometimes have insufficient support from external healthcare providers and lack policies, guidance and trained staff. We also reviewed the economic evidence. We found a need for investment to address gaps in services and to meet the growing demand for palliative care from an ageing population, though it was not part of our research to look at this in detail. We did look at the available economic research, primarily evaluations of palliative care services. These showed that once services were in place, better outcomes for patients and families – including better-managed symptoms and dying in their preferred place – were not the only benefits. There were also cost savings from fewer emergency hospital admissions and fewer avoidable hospital deaths. Overall, better palliative care could lead to net savings of more than £40 million per year across the UK. A tale of two ageing populations: Can the UK learn lessons from Japan?